Posting pics to social media sites seems like a simple enough matter, especially because smart phones have made it so easy. But don’t discount the harm they can do when BFs or GFs see these thoughtlessly posted selfies. Pictures do speak a million words so be sure to respect both sides of the field to avoid a fight. Don’t assume the worst when looking through photo galleries, and be sure to respect him when taking pictures with other people. Has a Facebook picture ever started a fight in your relationship? 76 percent of people polled said yes. Remember that anyone can see posts and likes. Be respectful and considerate when retweeting and commenting with someone. While a comment may have friendly and innocent intentions, it has the possibility to be interpreted differently. Have you ever gotten jealous of who a girl was posting to? 80 percent said yes! While Twitter can be great way to vent to the world, keep private matters private. Not only does a boyfriend not want to find out about his girlfriend’s annoyance with his lazy ways via a tweet, most of their followers don’t want to either! Has your girlfriend ever aired your dirty laundry via Facebook/Twitter? 64 percent said yes. Would you choose to not see a girl again because of her use of social media? 48 percent said no. 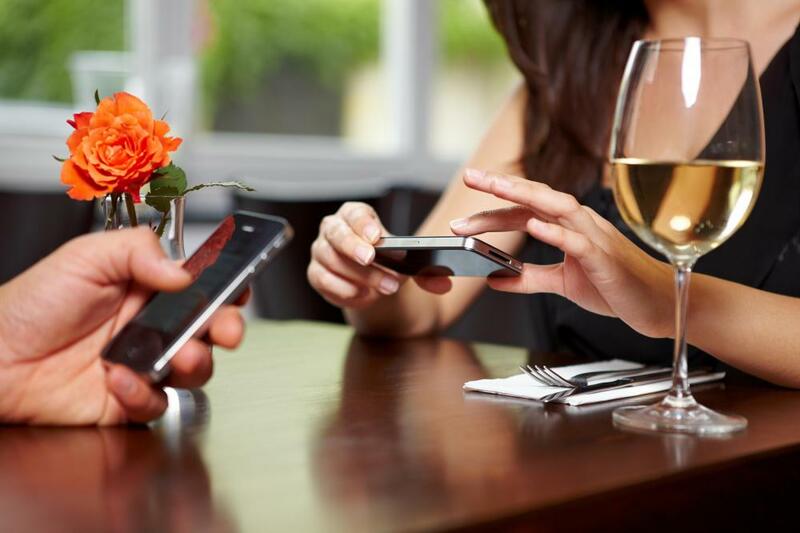 Whether it is the first date or the twentieth, put the phone away! Having a phone out shows that there are more important people and conversations than the guy sitting across the table. There is no doubt that social media has become a prominent part of daily life, but don’t let it have a negative side effect. To avoid an unneeded fight, the key is to use it in moderation and be respectful of one another; Facebook should not be invited to a dinner and status updates should not take priority during a movie a date.